The What: Platinum Tools will debut its new Xpress Jack Keystone Jack Termination Solution at InfoComm 16, at its booth, C4726. 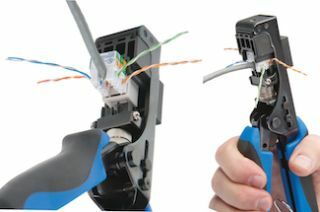 The What Else: The Xpress Jack allows for one-stroke keystone jack terminations. It features a heavy-duty all-carbon tool steel construction with a rust-resistant black oxide finish, and comfort grip TPR handles, designed to reduce hand stress on jobs with prolonged use. It is designed for 110 type 4 pair keystone jacks, with die set for Platinum Tools keystone jacks and other similar designs; die sets for 90-degree Leviton keystone jacks are also available.